Vatican City — Praising the ecumenical commitment of the late Coptic Orthodox Pope Shenouda III of Alexandria, Pope Benedict XVI offered his condolences to Orthodox Christians in Egypt on the death of their patriarch. 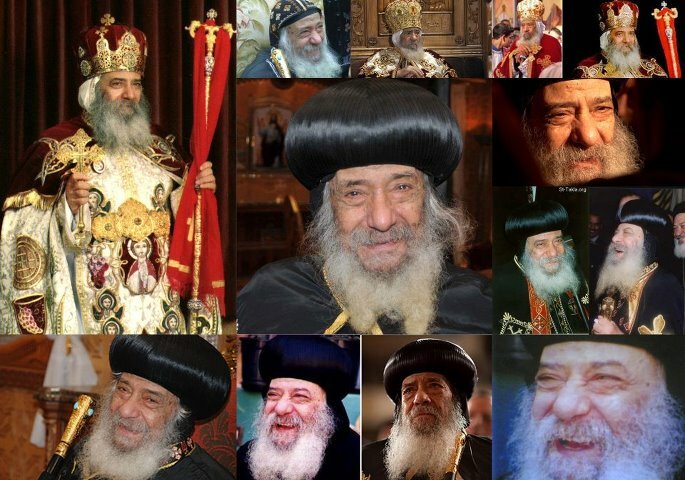 Pope Shenouda, who served as patriarch of the Coptic Orthodox Church for 41 years, died March 17 at the age of 88. In a message released at the Vatican the next day, Pope Benedict said he wanted to express his condolences and "brotherly compassion" to the bishops, priests and faithful of the Coptic Orthodox Church, which includes about 10 percent of Egypt's population of 82 million people. The vast majority of Christians in Egypt belong to Pope Shenouda's church and his four decades as patriarch often involved standing up for the rights of the country's Christian minority and working with the Muslim majority to promote human rights and the common good. "The Catholic Church as a whole shares the grief that afflicts the Orthodox Copts," Pope Benedict said, and Catholics pray that "the God of all mercy may receive Pope Shenouda in his joy, his peace and light." Maronite Catholic Patriarch Bechara Rai, who traveled from Lebanon to Egypt March 17 as part of a pastoral visit to Egypt's 4,000 Maronite Catholics, had been scheduled to meet with Pope Shenouda at 4 p.m. that day. "We were told in the morning that the meeting would not be possible because the pope's health had deteriorated badly," Archbishop Paul Sayah, vicar general of the Maronite Patriarchate in Lebanon, told CNS by email March 18. The patriarch had advanced the date of his visit to Egypt, Archbishop Sayah said, "because we knew of the state of (Pope Shenouda's) health."